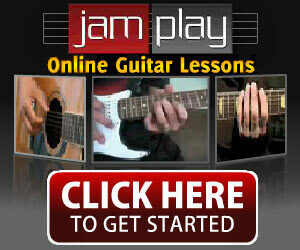 Home » Guitar Tutorials & Resources » Guitar Setup & Repair Articles » What Causes Fret Buzz, And What To Do About It. What Causes Fret Buzz, And What To Do About It. Sound familiar? 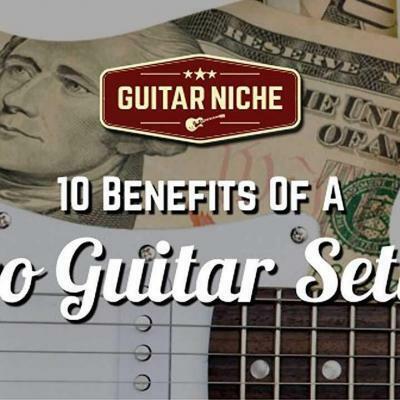 If you've played guitar for more than five minutes in your whole life, you've probably experienced that irritating sizzle that can drive you absolutely nuts! 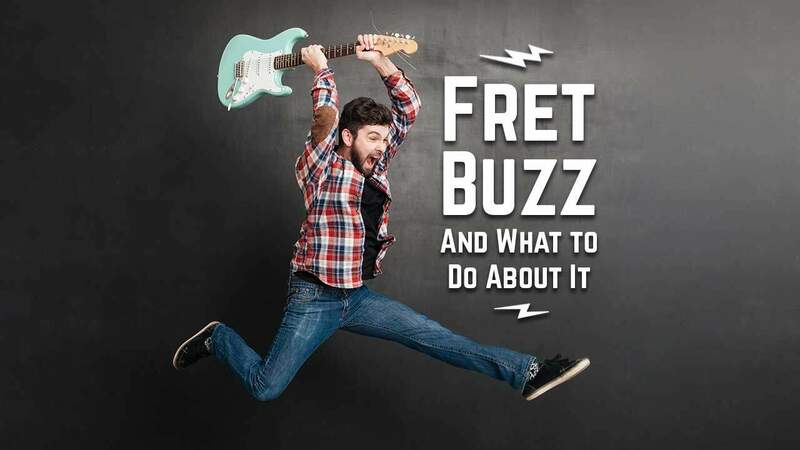 So what causes fret buzz? Good question. The answer list is long but well worth the read if you want to have an idea for a solution. From a service point of view, this is definitely one of the most common complaints from players showing up with a problematic instrument: "it's buzzing". You might think the root of the problem is the strings or the frets, but I can tell you with absolute certainty there can be other forces at work. The sour sound of a poorly reincarnated Ravi Shankar has many origins. Wear and tear, cheap production quality, seasonal changes and age are all major contributors to the buzz factor generated by uneven frets. You can find suspected high frets with a 6" straight edge or fret rocker; they'll allow the straight edge to tip back and forth. You can also sight down the neck from the body end and, when angled in the right light, offending high or low frets will show themselves easily. Many old japanese imports came like this right from the factory - built more for chording rather than pushing the string up to your chin in a wicked bend. 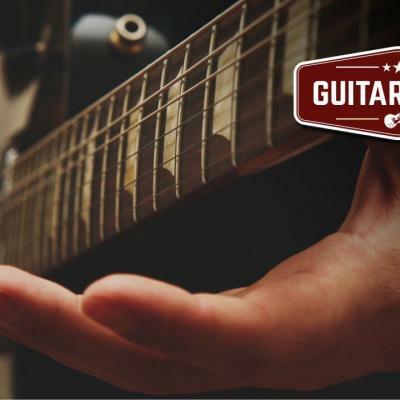 As instruments age, frets can be leveled out a couple of times, but each time you're reducing the overall fret height and coming in contact with more fretboard. The net result is more of a fight for clear notes, not to mention string bending - ouch! In this case, a trip to your local tech is the way to go. A very common problem, particularly in mass produced guitars with flash-dried fingerboards is loose frets. It only takes a couple of seasonal changes for these culprits to show themselves. Take a small solid object, like the 6" straight edge, and tap the end of each fret as you go along the fretboard. Loose frets will produce a dull thud instead of a solid knock. A little crazy glue carefully applied makes a great quick fix. Any time a string flows over a surface, it must maintain full contact at the leading edge. If the top of the saddle has a flat spot where the string sits, it can create the most amazing sitar sounds. If that's what you want, cool, but a nicely angled or rounded saddle surface will let the string ring true. Whether at the nut or the bridge, the angle of the string passing over these points has to be enough to keep it from chattering, buzzing and even popping out. The cure? 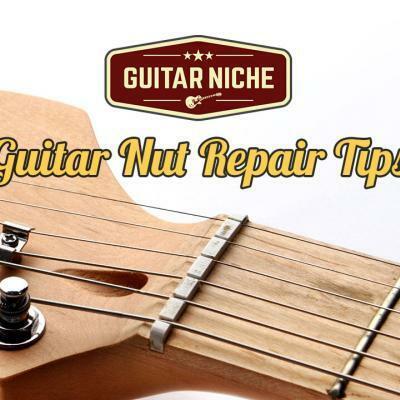 make sure you have enough string windings on your tuners to keep a good angle at the nut, or adjust your bridge and tailpiece system to keep the pressure up. Sympathetic vibrations from loose hardware can be interpreted as string or fret buzz - maddening. Loose end pins, switch knobs, wiring, loose trussrods, ball ends, tuner buttons and an endless list of more culprits, are all contributors to the problem. Try holding the instrument straight up and tapping all around it. Chances are you'll hone in on the cause in relatively short order. In all cases, batten down the hatches! Again, one of those misleading symptoms that cause you grief; the mundane, stupid things that will drive you nuts. Simply take a look at all contact points for the strings and make sure their real estate hasn't been encroached upon by debris of any kind. Too much relief is one thing, but backbow, the opposite condition, is a sure fire way to get sizzle over most of the neck. In fact, the closer towards the headstock end of the neck you get, the worse it becomes. You can spot backbow easily by sighting down the edge of the fretboard from the headstock to the body. 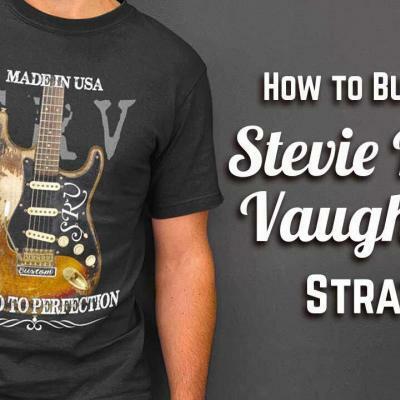 Back off the truss rod a bit at a time, maybe an eighth of a turn, then check that the neck is straightening out. If you're on the right track you'l be back in business in no time. One of the most common sources of string buzz. Nut slots wear therefor the string gets too low to allow for proper deflection. Sometimes this problem is accelerated by those individuals who are eager to practice nut work and don't realize how quickly material can be removed - can't blame them for trying though. The nut can be repaired with crazy glue and baking soda (or bone dust) or may have to be replaced if it's too far gone. Just like a low nut but at the other end. low saddles taken down to the point where the leading edge of the string is practically resting on the bridge, not to mention the break angle is reduced to near nothing thus aggravating the problem even more. A new saddle will not necessarily be the fix, but it will need replacing as the condition is more due to the angle of the neck. Can you say deception? Neck relief has to be just right for an instrument to function properly. That might be an obvious statement, but just like backbow, too much relief causes a whole host of issues including fret buzz. Changes in humidity levels and string tension itself can greatly affect the amount of relief in a neck. 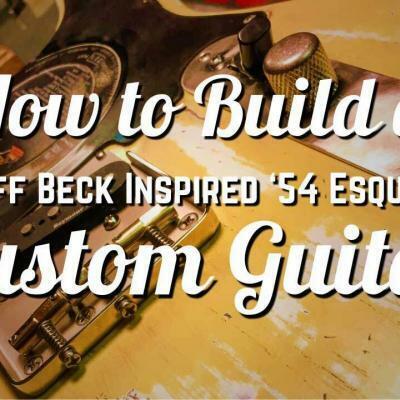 Refer to the backbow section and adjust the truss rod in the same manner but in reverse. You can get a good idea how to adjust a neck to it's most optimal relief by checking out this article. Ever bump the fretboard of your guitar buy accident? Ever feel a little bobble in a string as your finger slides over it? 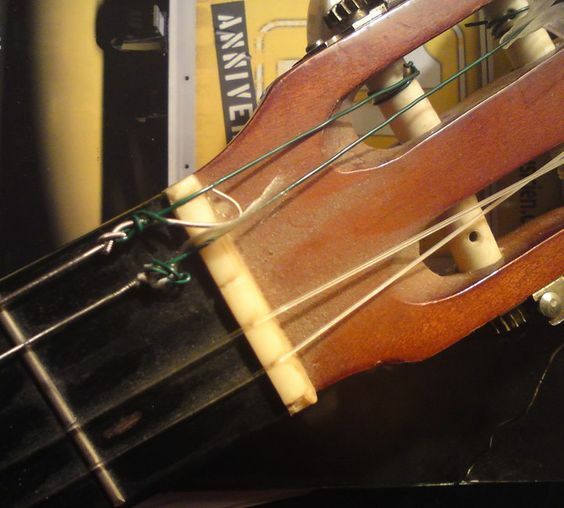 A little kink from careless installation, a string that's out of round, loose wraps from fret wear can all cause fret buzz. ANY physical distortion in the string itself will result in unexpected sonic results. The simple solution is to install fresh strings - easy. Beyond specific damage and production imperfections, age and wear take their toll to the point where the strings are totally inconsistent across their length. Pitting, finger gunk, time and decay change the mass of the string. Therefor it becomes a huge question mark in the perfect operation of the instrument. Moreover, aged strings become virtually impossible to intonate - no fun. Change your strings, kill the gremlins, save your sanity. Extra light strings, especially reeeeeeally light strings, are naturally energetic on the fretboard when played: they'll bounce off the frets like rubber bands. 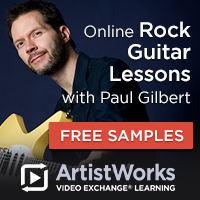 They might be fun to play as you gain massive flexibility, but you also trade good tension, body and tone (gasp). Try going up one gauge, not two, that's too much of a shock, and see if things calm down. Just like a flat saddle, flat frets will be a problem because of the lack of a refined contact point for the string. Divets in the frets from wear are common as is the hurried use of a flat file to correct an obvious problematic high spot. The frets must have some kind of crown to produce pure notes therefor this kind of work is best left to your favorite guitar tech. This one should be obvious. 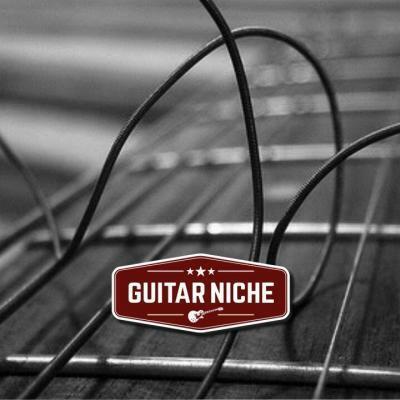 In the pursuit of better playability the strings get lowered to the point that they're almost ON the fretboard. This also sacrifices tone... not good. I have seen some instruments where this wasn't a problem, almost like the instrument says, "How low do you want to go?" It's very cool, but not the rule. For every instrument there should be a sweet spot in the action where it responds best. Just like a poorly cut or worn nut, deep saddle notches are one of those conditions that cause nasty buzzing and chatter. Flat spots in the saddle's groove or an over-widened notch simply won't keep a string's vibration under control; all that energy is compromised and lost like water being squeezed from a sponge. If it's worn or damaged, replace it! Granted, most people don't take a course in string installation. They may be heavy-handed or all thumbs around maintenance issues, either way, installing strings incorrectly will have it's consequences. The wrong gauge for the string (oops, must have mixed them up), way too many wraps at the tuner, kinks in the string (as mentioned previously). Please respect the strings as you install them. Not sure how to do it? watch a video or two - preferably one of mine, or pay to have it done for you. I have two schools of thought here: 1 - it is essential that you fret the string just behind the fret itself, that's just good fundamental technique. Fretting a note further back in the fret space is inefficient and doesn't impart the same energy. And 2 - if you go looking for problems, you WILL find them... and fixate on them. That's not to say let's sweep our guitar issues under the rug, on the contrary, put them under the light and get them taken care of properly with a good guitar setup from your local tech. At the end of the day the overall truth is, some very minor guitar-centric issues are simply not worth the frustration - let's get on with the business of playing! Last but not least, this is the hardest pill to swallow. 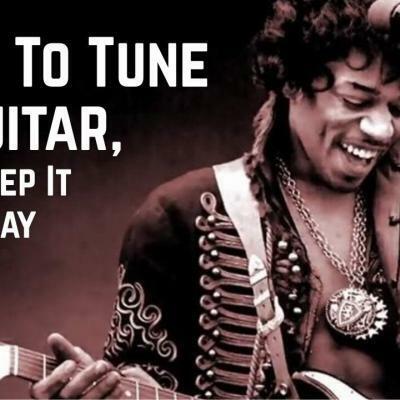 It is a fact, some guitars are just no damn good; they will buzz no matter what you do. Why? Because resonant points, competing frequencies and the laws of physics will produce anomalies we find undesirable. It's rare, but it does happen. I recently had a beautiful high-end instrument come across my work bench that suffered this fate - what a shame. It was later confirmed by the company after it was sent back, there was nothing they could do. 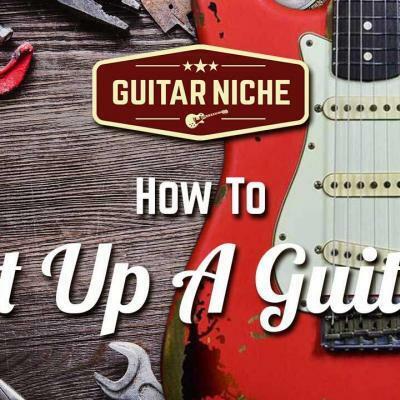 If you suspect that your own instrument is nothing but a GSO (guitar shaped object), have at least one professional guitar technician look at it, a second opinion is totally worth it to save you the added aggravation of owning a lemon.